How cheesy I thought. I still think that as I am keying in this. But then what the heck. I don't have a title of being non-cheesiest person ever. So here I am writing my final post of 2009. I am wondering if it is just me or all the festivals or holidays or special days and new years , that is, all the new years days that we have as Indians during the course of a Gregorian calendar year are increasingly becoming less significant for me. I remember being more excited about a new year or any other festival when I was younger. Now it seems like someone is puling the brakes on the things I am doing. But then for those of us, who love to work throughout, I worked today and I shall be working tomorrow too. Holidays weekdays weekends. Makes no difference. Maybe one of the times when the line rings true that when we enjoy what we do as work, its no longer a task. The past 10 days however, passed in a blur of losing my voice. The weather change between Chennai and Kuwait and London, the change in water did not do me any good. Something which kept me down in the dumps and gave me a holiday without my consent. I am slowly gaining my voice back. It will be a couple more days until it is back to normalcy. I realize I have spent a considerable amount of this year in reflection, contemplation and questioning my belief systems, opinions, thoughts, which has in turn led to seeking answers, reading voraciously and finding some answers and of course, a lot more questions. At this point I went back to read my blogs through this year and yes it has been eventful personally too. As I have said earlier my blog is not a log of everything that happens in my life or all the thoughts that I have ever had. I logged into twitter and like to 'follow' the people I like and read their opinions 140 characters at a time. But looking back on 12 months leaves some placid thoughts. I have spent an entire year, and 4 months of 2008 chasing a dream which has still not realized. Which I hope and pray will come to fruition in 2010. But then some things take their time. I keep telling myself to believe in the one thing that does repeat in my life. That when you want something truly the Universe conspires to make it happen for you. But when you are counting it one day at a time, it becomes grueling at times. I am trying to remember how I passed the time from when I decided I want to be a playback singer and that I wanted a break from Rahman sir until it happened. Schooling of course. But I kept the wish kept simmering. It was a constant. Now, I remind myself of that time. And how dreams have come true. And some dreams I have never had also did come true. Like say, dubbing. An experience I am truly beginning to enjoy as time goes by. I am getting to know even more that the amount of work that goes in the making of a movie is phenomenal. But I ll blog about this later. Being at BAFTA and singing there in front of Rahman sir less than a couple of weeks ago. Of course every song that I sing and when I see my name again on the CD cover is a dream come true. TEDxChennai will be a day that will forever be close to my heart. Thanks again to Kribs for introducing me to something that has the capacity to be life changing. And hearing Mr Hegde speak at NIT Surathkal was magical. The year had been a revelation for me with respect to people I know as well. Like perhaps every other year, but especially this one was an eye opener. The one moment which gave me a super fright and numbed me completely were these couple of hours, when I had returned late from a recording. I ring the bell. Then I make a call on my mother's phone. I ring the bell through the course of the call. Then disconnect and call the phone again. Keep ringing the bell more. Keep calling. And mind you, my doorbell, can make you jump or even curse it at times because of its loudness. Then I started pounding on the door with all my might. Called out to mom. By which time neighbours had woken up and started asking me weird questions. Panic, fear, hope, panic and then the numbness started happening. My mom is a light sleeper. She always has been. If I perhaps cough in the middle of the night in the next room, she ll check to see if I am OK.
That night however, she did not wake up. I remember clutching my bag and walking down wondering what I am going to do. Went up and continued the whole exercise again. To no avail. After 3 and a half hours, my mom wakes up after I ring the bell once after perhaps 45 minutes from the previous exercise. And she said "Vandhuttiya kanna... recording eppo mudinjudhu?" All I remember was collapsing in her arms weeping away and weeping through my sleep or whatever there was of it. She, for her part could not understand how she could have slept through all that, but she did. Yeah, you ll now think, why don't you have a spare key? One of those days, that I did not take them. However, I pray that I'll get to work better, be a better musician and an artiste in the year that is to come. To you however, I wish that you have a wonderful lovely together time with you and yours. May you feel a sense of belonging with those you love, may you be loved, may you be happier in your work or may you have the guts to follow your dreams and have a career of your dreams. or learn the skills that will make the career of your dreams. May you find moments to cherish, moments to shed a couple of tears too. Tears that will take the weight off your shoulders. And if you are not one of them, may you have be blessed to shed the tears as well. Just a little bit. Just enough. May you feel the belonging with the Universe and with yourself. With all my heart I wish you love, laughter, joy, peace, contentment, money to blow and money to save, enough time to do what you want and that you have to, to be with those whom you love, to do things that you want to do, to read, to listen to music, or learn a new skill. May you truly be loved by all those you know and may you too truly love all those you know. P.S. : As for resolutions, I hope to be able to devote more time to learning the Sarangi and the Piano. Hopefully I ll be at a different level, this time next year. I am going to watch this space myself. Wish you a very Happy New Year. Pass on my wishes to Mom as well. happy 2010 !! Let Almighty be always with you and give you courage, success and prosperity. It should have been a moving moment when your mom was sleeping, had a similar incident when my parents where in temple and they did not return calls for almost half a day..
God bless you and your mom! Good luck and a happy new year! Happy new year. May we be blessed to see once in a while forgetting the name of the seen. It was 2009 I came to know about YOU and this blogspace and from then it continues to be inspirational. Thank you so much for all good words and wish you the same. Wish to come and see you oneday. Thanks for the lengthy year end post. Our wishes to you for better growth in blue elephent , music ,dubbing fields and to suceed in your resoulitions . Wishing you a wonderful and prosperous new year ahead. 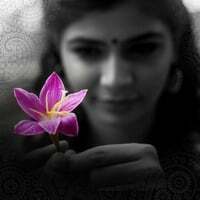 Happy New Year Chinmayi... I wonder how u write a loooooooootttttt... pls gimme some tips.. I really admire u for ur writting skills and of course for ur music.. god bless!! Thanks for your wishes & i think u meant pulling& not puling..
Must have been terrible. I am sorry you had to endure those moments. But 3 and a half hours??? Nobody (neighbors) helped you unlock the door by force or what? I wish the best of health for you and your mom. :) ahhaaa! a nice end-of-year post!! I was rather touched by the incident u'd mentioned.. about u'r mom not opening the door..
i have a question for you though.. please do not take me wrong- no offence .. just curious! Cinema/Entertainment industry- in my eyes- (forgive me...) is a kind of 'mutual appreciation society'... sometimes- i believe that- one does come across works that are not quite .. errmm.. 'good enough'..? but still- one could be required to hold up a straight face to it- smile along... There is - i hope u would nt deny that- but a certain amount of faking involved... it's my personal opinion.. we 'mango people' feel so- at times..
As far as I am concerned- I have wanted to ask this question to Actors: Suhasini/Lakshmi/Revathy/Shobhana.... but I might never be able to do that.. So now, to you..
No offence meant.. once again... just curious.. Coz, I really do love to know u'r perspective! Does this industry pose difficulties, at times/ if not always- to people who can think for themselves? PS: Pl. do not say that this is a creative field.. here there should be ppl who can think for themselves.. even i know tht.. i do not deny tht.. there are quite a few ppl who are blessed with brains here...it's the falseness part of it- about which i m curious.. like-- don't say everyone gets inspired! but at times- when i hear music that is "100% inspired" i keep wondering how the singer might have sung it.. knowing the fact about it? then claiming in front of the media that it was 'wonderful experience working with ......' (just an example... but my doubt is somewhere along those lines...) it's a genuine doubt, i believe! please don't be offended ! happy..new year...wishing you gr8 time ahead!!! hi chinmaye, ur such a talented one, love ur works a lot. just today I started following you on twitter .. nice ... [:)] .. keep writing ..
May the new year bring you success in all walks of your life.Wish you a happy and Prosperous New Year. Wish you a belated happy new year! You are constantly on the move to do better than before. And at the same time, do your introspection(in this case reading your year old blogs).No wonder you are going high and high in your life. All the very best. Wishing only good things to happen to you always. Once again,have a happy new year Chinmayi. Read your whole blog in a day's time...yup..four years of ur blog..(I got to see only from May 28, 2005)...anyhow...my heartiest new year 2010 wishes to you and your family. Twenty Ten may give u a ton of Beauty in your life! Twenty Ten may leave you when u turn into a new life with someone! thanks for the wishes..have a wonderful year. It was a good narration about waiting in front of your door for 3.5 hours. I could understand how it was. take care. Why the "industry"? Don't you smile and go along at someone who perhaps come to your party or a wedding overly dressed and especially if it is a family member, or someone you know, and they say you are looking nice, do you not say that they are looking good even though you think they might have no taste? Have you never falsely complimented anyone? At least to bring a smile to someone's face? Or how do you think about appreciating a child's doodle as "brilliant"? Or the yes-man-ing the superiors to get an edge? How many openly disagree with a boss? Or a lecturer/teacher or anyone of authority? There are way too many questions on your post, and I don't know if it is about inspired songs, or falseness or dumbness or working with someone. I am not sure if it will be appropriate to do an indirect view-response to the views here; meaning, Can I comment, for example, on what Matangi Mawley says. If it is ok, I think M Mawley looks to be in a similar pursuit as yours of the 'truth'. I wanted to say it is difficult and not desirable to see the creator and creation as one. That ienescapable and ever present dualism was in public display as recently as in the grand success of 3 Idiots and the sparring that followed among the 3 key men involved. This is the first time, I am publishing yr comment though a regular reader of your blog for the past 12 months plus after my daughter introduced me to the same. Our whole family is a great fan of you and we wish you all the very best for a great 2010. Me and my wife look forward to hearing you and meeting you at Jakarta this month. came across you on twitter, by chance - enjoyed this post. Inspiring dedication to a dream/ goal - can relate to your story about ringing the bell at home. Wish you the best - would love to keep in touch & learn more about your enterpreneurial venture via twitter - my id is krishnas. Hi- thanks for the reply- but I somehow- am not able to accept the instances you have mentioned. I do not think it is appropriate to compare appreciating a child's doodle with appreciating a "not so genuine" work of people I had mentioned in my question. Have you read Ayn Rand? Though what I seek is not the exact essence of her ideologies- atleast whatever is practically possible out of it! And to the second thing about "Kollywood for men": I don't think I convinced on that either- plastic faces on silver screen- that is majority of what it is still- all about! Matangi: Sometimes it is necessary to see things through someone else's eyes. I havent read Ayn Rand. BTW the entire world is still having the "for men" thing. We still dont have a 33% reservation. Art imitates life Matangi. 1) you should read rand..
2) 33% reservation: my views on tht subject are little diff. as long as there are these beauracrats around- this is never going to happen! BEAUTIFUL POST Chinmayee....esp. the closing remarks before p.s. Wishing you the same & much more!